Open House is Monday night and school starts on Wednesday. I wish my summer wasn’t ending! I have spent a lot of time at the school last week and this week. I have all of the major things done. The thing I am most excited about is my word wall! The y’s look a little “off” because the lowercase i Ellison die cut letter is missing. We had to use the uppercase Y and cut it a little to make it look lowercase. This might be where I keep my kiddos’ book boxes. (I haven’t made lables yet.) The shelf next to it will hold more. (See all those extra book boxes stacked up? 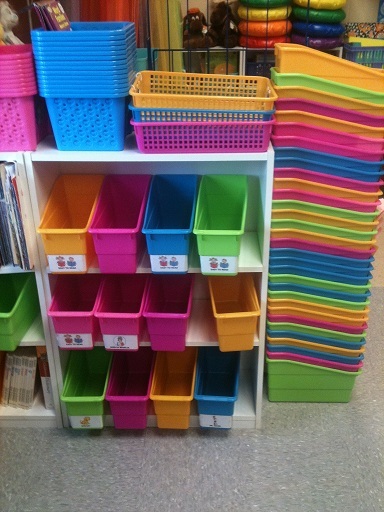 That’s what my classroom library books used to be stored in until I got the colorful baskets from the Dollar Tree. This is the beginning of my FACE of a reader bulletin board. My signs are just stuck up there with thumb tacks for now. My bulletin board in the hallway. I used the same one last year. I really like it! 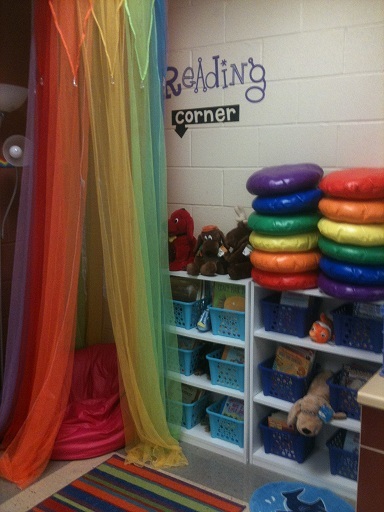 I love your library and the rainbow canopy. ADORABLE!!! Your stuff is super colorful and happy. LOVE it! I’m loving the rainbow colors! It looks so inviting. Where did you get your rocket? It’s adorable! 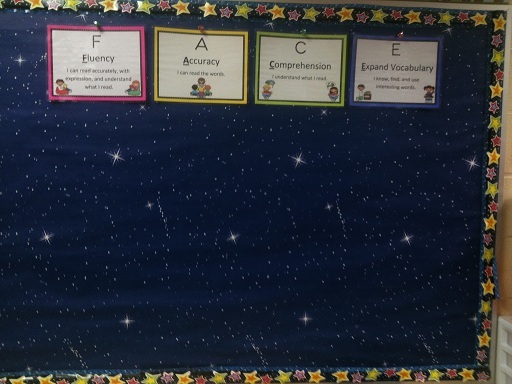 We have a space theme this year! 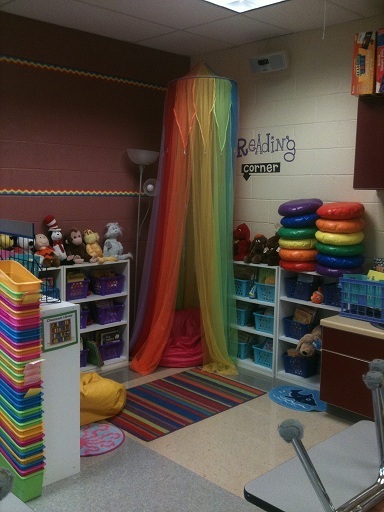 I love your room, so colorful and fun! The kids will love it. 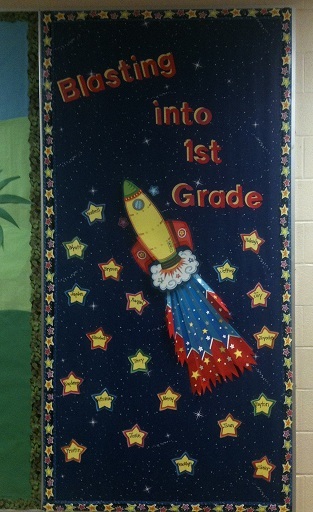 Lauren, I got the rocket from Carson Dellosa – it’s a bulletin board kit that came out…last year I think. I love it! Very cute! 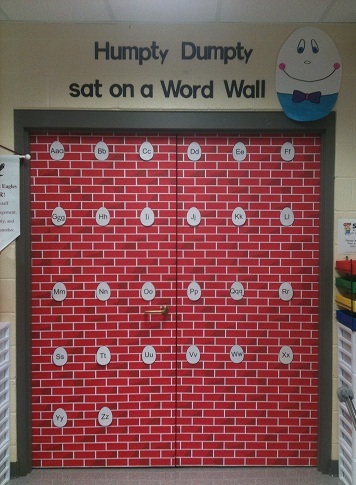 Love the word wall! Adorable! Love the Uppercase Living! I’m a demonstrator too and really wish I could use it in my room this year, but we were told NOTHING adhesive on the walls. Ugh! 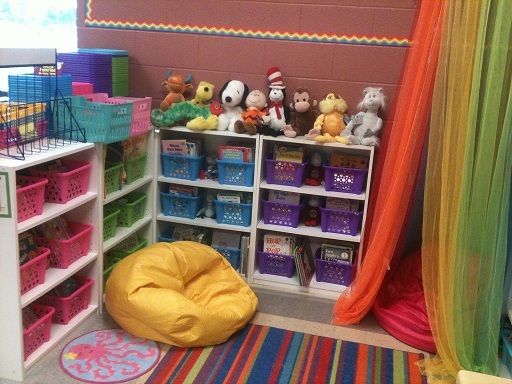 Where did you get your colorful book boxes? I got the book boxes from Really Good Stuff!